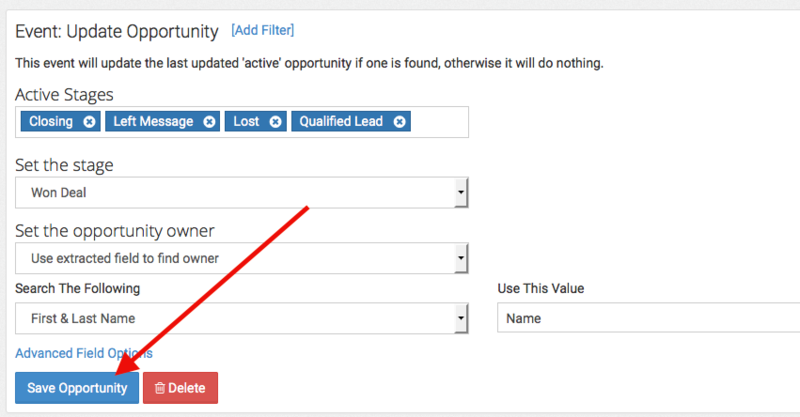 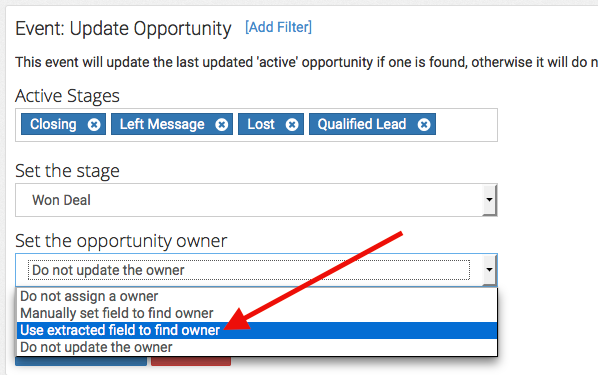 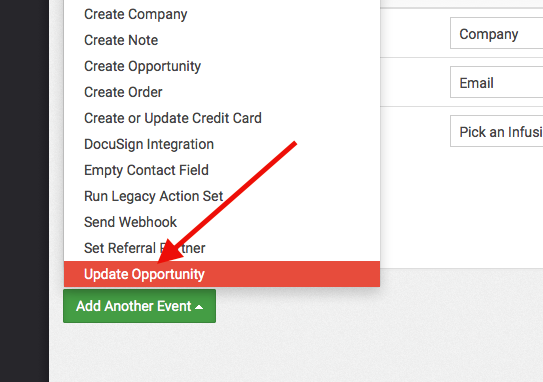 Note: You will want a unique Update Opportunity Event for each stage you are wanting to SET based on information provided in your email or webhook. 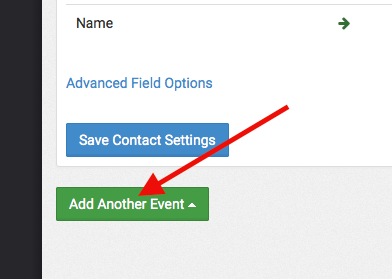 To begin, click the Add Another Event button. 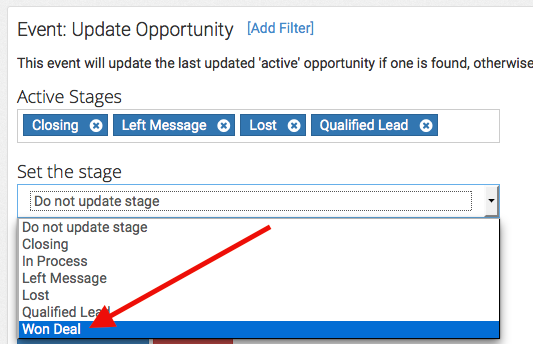 Then select Update Opportunity from the list.